Blue Flag started in 1987 and is now one of the world’s most recognized voluntary eco-labels awarded to beaches, marinas, and sustainable boating tourism operators. The Blue Flag Programme promotes sustainable development through a number of criteria in the categories of Environmental Education and Information, Water Quality, Environmental Management, Safety and Other Services. Five public beaches in Dubai recently received the global accreditation for 2018-2019 to raise the Blue Flag for the first time. Beaches in Jumeirah 1, 2 and 3, and in Umm Suqeim 1 and 2, including popular spot Kite Beach, met all requirements that ensure compliance with the standards of the program. 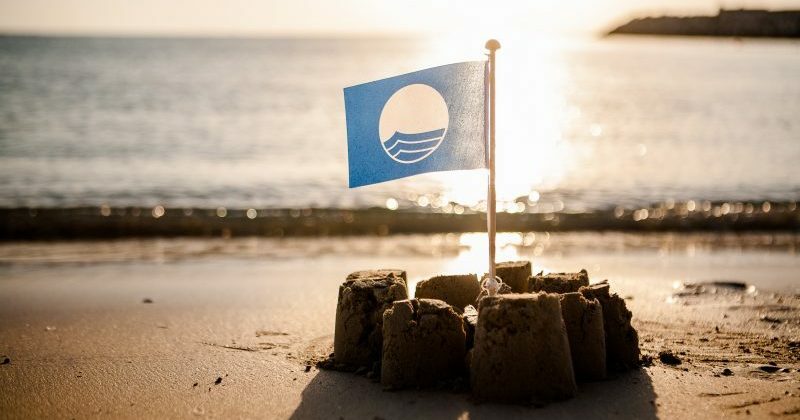 According to the Blue Flag website, there are 9 Blue Flag beaches in the United Arab Emirates, no Blue Flag marinas and Blue Flag boats as of yet. This means that this summer, more UAE residents will be able to indulge in a day of sun at their local beach, secure in the knowledge that this coastal treasure is being kept clean, safe and sustainable under the guidelines of the Blue Flag Programme. How to get he althier and smarter beaches, marinas and ports? Healthier beaches. Sandy beaches are dynamic environments, continually changing and providing vital ecosystem functions, such as sediment storage and transport, and protection from wave and storm action. It is important to keep beaches healthy, from an ecological, a physical and recreational perspective. This is where Ecocoast comes in. The coastal development, protection and improvement solutions we offer in this area cover the whole package to create, protect and maintain a safe, functional, high quality beach, play and sporting area. In case of algal blooms that could be dangerous, oil spills, or other extreme events that can have a serious adverse effect on the quality of the bathing water or the health of the bathers, we provide marine and coastal protection solutions that offer protection against these types of impacts (ref. Blue Flag Beach Criterion 7). For high use beach areas, our beach cleaners can carry out sieving and deep cleaning of the sand to remove small size waste, such as cigarette butts, to ensure the beach is Blue Flag ready (ref. Blue Flag Beach Criterion 15). Furthermore, our marine demarcation barriers protect swimmers from all sea craft (motor, sail or pedal), and where necessary, zoning through the use of Ecobarrier buoys can also be provided (ref. Blue Flag Beach Criterion 30). 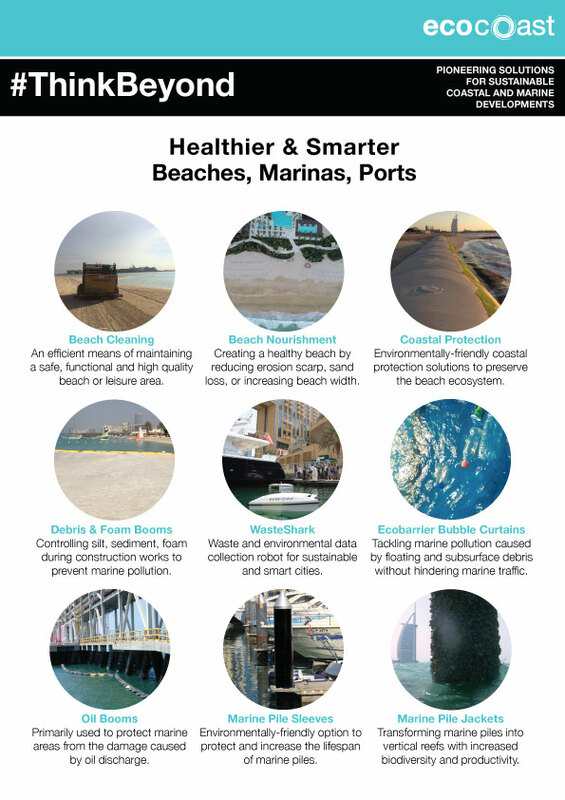 Healthier and smarter marinas. Rather than doing large pile repairing and replacing activities in a marina, we recommend using environmentally-friendly UHMW-PE marine pile sleeves to prolong the lifespan of tubular steel piles. The sleeves not only offer the benefit of longevity, but also contain no toxins that can leach into ecosystems or negatively impact water quality, unlike traditional methods (paints, detergents, chemicals etc.) (ref. Blue Flag Marina Criteria 18, 29). Besides efficiently cleaning up all types of waste from marinas (including oil, litter or other pollution), the WasteShark can also gather data and monitor changes in the environment, such as CO2 footprint (ref. Blue Flag Marina Criteria 27, 36). The WasteShark is environmentally-friendly on multiple levels – zero carbon emission, no noise or light pollution. Healthier ports. International statistics of oil spill sizes for all incidents indicate that the majority of oil spills are small and originate in or near ports. Created as part of our Ecobarrier Oil Boom range, the Emergency Oil Boom is designed to be deployed quickly to ensure spills are quickly contained and do not spread into sensitive areas. More here about last year’s deployment to protect Kalba’s nature reserve and mangrove swamp. For further information on how to make your beach, marina or port Blue Flag ready, view our attached flyer, or download the clickable version here: Healthier & Smarter Beaches, Marinas & Ports. And if you have any questions, you can reach us here.